Weapons are great but armor is what keeps you alive to fight another day. 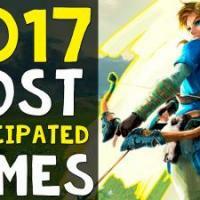 Your starter armor is only going to get you so far and new armor is hidden throughout the game. 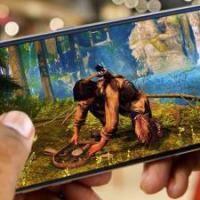 This guide will help you find all the armor as you go through the nightmarish lands. 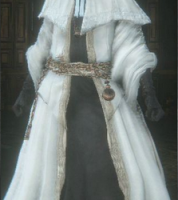 Cainhurst Set is the best Bloodborne armor for the physical defense. Therefore, you will definitely decide to keep it with you once you have tried putting it on. However, if you are going to fight with bosses who are able to cause elemental damage, this set is not an ideal option. 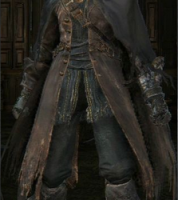 If you adore Crimson set of Dark Soles, try getting the Graveguard Bloodborne armor. It can be found on two dead bodies in the territory of Forbidden Woods. If you notice lots of snakes winding their way towards you, you are on the right track. Keep searching on the left side of the road. 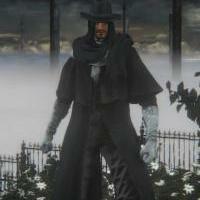 This is the best Bloodborne armor regarding the defense against any magic. 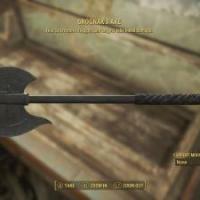 The set has the highest Arcane defense, and this will save your character during brutal battles. You can find the Choir Set in the Upper Cathedral Wards which you can reach by using the ladder in the Healing Church. 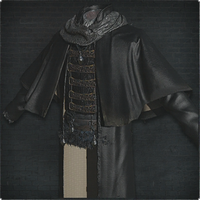 If you are looking for a cool and protective Bloodborne armor sets, get the Crowfeather Set. Your character's terrifying look can scare the hell out of your co-hunters. What is more, this set gives you additional blood defense, so it's perfect for gruesome and bloody battles. 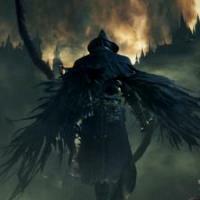 Are you looking for the best armor in Bloodborne to get fire resistance? Charred Hunter Set will hands-down protect you from the conflagration. The location is on the roof floor of a secret house in Old Yharnam. 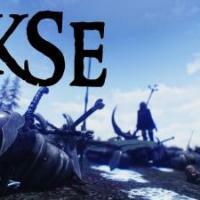 By the way, it is that stylish set which is shown in the "Project Beast" trailer. When you have been fighting for hours against the insurmountable bosses, there is nothing more rewarding than taking on clothes of your enemies. 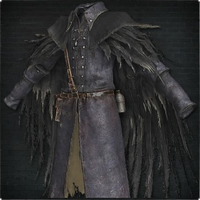 You can buy this Bloodborne best armor from the Insights Bath Messenger as long as your Insight reaches 10. By the way, it is also hidden in the Hunter's Dream. Search for Black Church set in the area of Cathedral Ward. 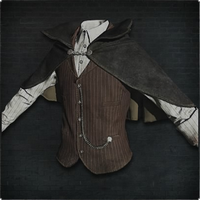 This best Bloodborne armor has a satisfactory elemental defense regarding arcane, fire, blood, and bolt. The set consists of Black Church Hat, Garb, Trousers or Dress, Surgical Long Gloves. When wearing this outfit, you can hear your enemies shouting "Death to the minister!" 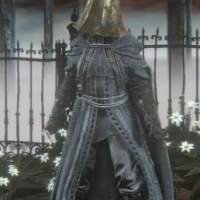 Ashen Hunter Set is the best Bloodborne armor regarding Frenzy resist. This set also gives you a stable physical and blood defense. It is said that it has the second highest Beasthood among all attires. You can buy this armor in the shop if you have 6 overall Insights after defeating Djura. Executioners Set is definitely for courageous characters. 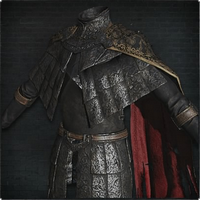 This is one of those Bloodborne armor sets which make you hero look terrific. 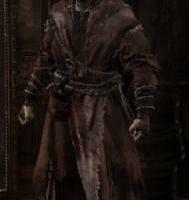 It is located on a dead body in Cainhurst Castle. Also, you can purchase the Gold Ardeo after you gain Wheel Hunter Badge key. This set has a good physical and arcane defense. 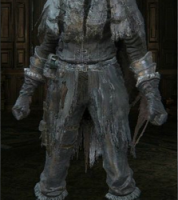 Honestly speaking, the Foreign set isn't the best Bloodborne armor because it is actually very weak in any defense. It is a starting equipment, and once you've sold it, you can never get it back. The set includes the Foreign Trousers, Garb, Black Hood, and Sullied Bandage.